Complete your Great Eye Glasses order by renewing your prescription. By signing up, you agree to our terms of service and notice of privacy practices. Our test is all you need to get a renewed prescription for glasses. The test will take about 15 minutes and you'll get your prescription within 24 hours. 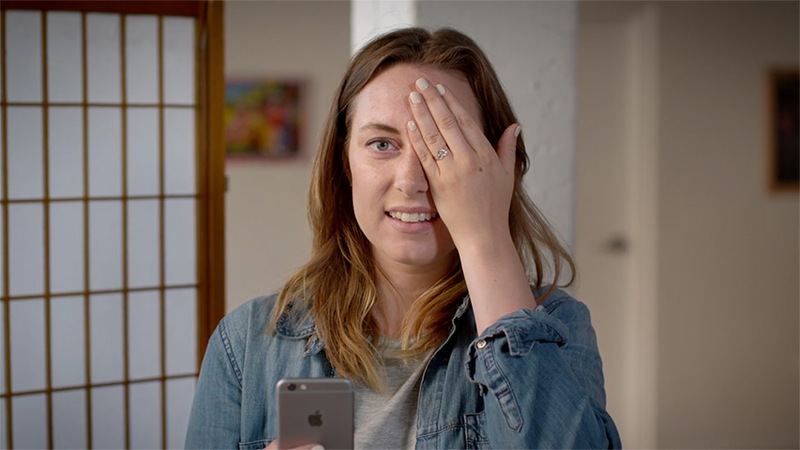 Your computer or tablet will serve as a digital eye chart and you'll use your mobile device as a remote control to tell us what you see on the computer screen. No app download is needed. Stepping away from your device lets us measure your distance vision. You’ll need to stand about 10 feet from your screen. Your previous prescription is required. Our doctors use it to ensure your new prescription is clear and comfortable. We're happy to get a copy from your last doctor, but it can cause delays. VISIBLY is a trademark owned and/or registered by Visibly, Inc. in the U.S. and other countries. © 2019 Visibly, Inc. All rights reserved.